Fashion and music have always gone hand in hand—and now, as artists step up their merch game like never before, they are sparking entire fashion movements. Artists like Beyonce and Kanye are releasing apparel lines that are being received with a level enthusiasm usually reserved for an album launch. Take for example, Kanye’s “The Life of Paublo” pop-up shop in NYC, a 3-day event that reportedly brought in seven figures—this should be proof enough that music merch is having a major moment. 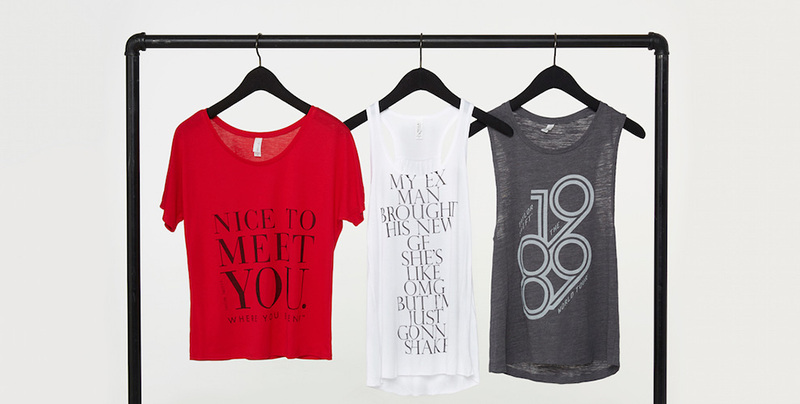 The band tee has been around as long as rock and roll, so why are we seeing this comeback now? The internet, of course, and digitalization of music has undoubtedly shaken up the industry. As artists and their labels react to this shift, they are relying more heavily on revenue from touring and merchandise, as opposed to album sales. Additionally, the innovation in the blank apparel industry has made fashion-forward merchandise more accessible than it was in the past. An artist’s merchandise is a direct reflection of their brand, and as they depend more on merch as a primary money-making source, it’s vitally important to use the best quality garments available. We had a chat with Kari Rohr, VP Merchandise Production at Warner Music Group to get her take on all this. Read our Q&A below! Q: How important is merch as a revenue source for an artist? A: Music merch is a critical compliment to the music. It allows the consumer to own a physical piece of the experience music offers. Music merch is an expression of the music, the message and the style that ties the artist to the consumer. With the decline of physical CD sales, merchandise sales offer another avenue to contribute revenue while complimenting the music. A: The ever growing relationship between fashion and music plays a big role in choosing quality blanks. An artist’s merch line is a reflection of their image, a way for them to connect with their fans. In the same way an artist would never want to put out a bad album, they wouldn’t want their name and logo on anything that doesn’t represent the quality of their brand as a whole. Q: What are the most popular trends and styles you see requested from artists? A: Recently we’ve been choosing longer style tees as well as boxier shapes. We love the Long Body Tee and Heavyweight Tee from BELLA+CANVAS. 100% cotton is the standard to allow for soft hand water based discharge printing. However, poly-cotton blends like the Heather CVC Tee remain in the mix due to the softness. A: We choose on-trend blanks that will hold their shape and color wash after wash. It’s critical the garment is compatible with screen printing as well as DTG print, embroidery, heat transfers and other decorating techniques. Do you work in the world of artist merch? What trends have you noticed in the industry as of late? Bands are some of my custom design clients (X, John Doe, Dead Rock West). The crappy, scratchy, cheap rock tee still exists & some bands are hesitant to spend more for quality since they’re used to a certain profit margin. But I do see a trend toward wanting nicer merch. My clients who have spent a little more to raise the merch quality are thrilled when they sell more merch on tour. That’s awesome to hear! We predict you’ll keep seeing this shift as more companies realize that by spending a bit more for a combed and ring-spun tee, they will end up with a big increase in sales! I like rock bands! I really do! And my favourite hard rock band is Hootie and The Blowfish! All band members has came together to perform more than 50 concerts to their fans in 2019! To know more about Hootie&Blowfish in 2019 visit website hootietheblowfishtour.com. You won’t miss concerts in 2019 if you visit the link!